Last week the remarkable Jody Feldman tagged me to participate in a great get-the-word-out game called The Next Big Thing – Thanks, Jody! The Next Big Thing is an awareness blog campaign that began in Australia and became international. It features authors and illustrators of books for kids and young adults and their recently published books and/or those that are slated to be released this year. THE GLASS PUZZLE. It’s always been that title, even when it was a germ of an idea. I really don’t remember. I guess the idea of two kids falling through a puzzle into another world just came to me and I fell in love with the image of a puzzle made of glass. When two cousins discover a glass puzzle, ancient forces are unleashed that threaten their Welsh seaside town in sinister ways. 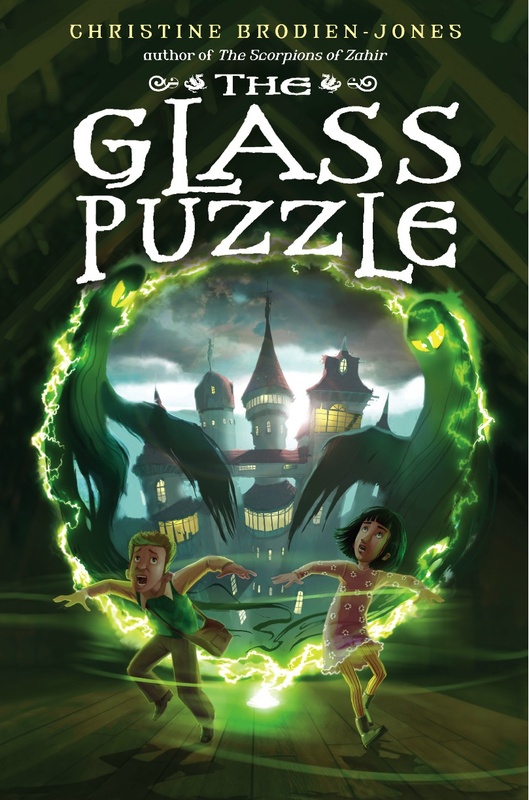 THE GLASS PUZZLE comes out July 9, 2013 from Random House/Delacorte Books for Young Readers. As always they’ve done a fantastic job with a stunning cover and amazing illustrations… a detailed map of the town, too! I know it sounds strange, but I started writing this book 25 years ago, when my kids were young: my first attempt at a novel! The first draft probably took a year or more because I had trouble with creating a world on the underside of the puzzle; I just couldn’t get it right. Over the years I worked on the book, then shelved it, then took it out again, and it finally came together when I fused it with another half-written novel I’d set in Wales. Middle grade fantasies that deal with crossing over into other worlds, such as THE LION, THE WITCH AND THE WARDROBE by C.S. Lewis, Madeline L’Engle’s A WRINKLE IN TIME, Edward Eager’s KNIGHT’S CASTLE, INKHEART by Cornelia Funke, THE EMERALD ATLAS by John Stephens, P.J. Hoover’s THE FORGOTTEN WORLD trilogy, WILDWOOD by Colin Meloy, GREGOR THE OVERLANDER series by Suzanne Collins. As a child I watched “Invasion of the Bodysnatchers” with my dad, the original black-and-white sci-fi horror movie where outerspace invaders replace human beings with duplicates that appear identical on the surface but are devoid of any emotion—and nobody knows! Well, almost nobody: the main character, a doctor, figures out what’s going on and tries to stop them. I’ve always been intrigued by the idea of people being secretly taken over while everything on the surface appears to be perfectly normal. This was a theme I used in this novel. THE GLASS PUZZLE suddenly took on a life of its own when I switched the setting from upstate New York to the medieval walled seaside town of Tenby, Wales, notorious for its pirates, smugglers, caves and ghosts, and the maze of tunnels that run beneath its cobbled streets. I’ve been twice to Tenby and it truly is a haunting, mysterious windswept place. Hmm, let’s see. Well, a drowned island lost in time, tunnels beneath the town and a cavern of lost enchantments, an ancient book, a secret society, a parallel universe. And, oh yeah, watch out for the terrifying creatures that are waiting to slink out through the puzzle! Thanks for reading this! And please check out posts next week from my critique group cohorts Pat Lowery Collins and Laurie Jacobs.